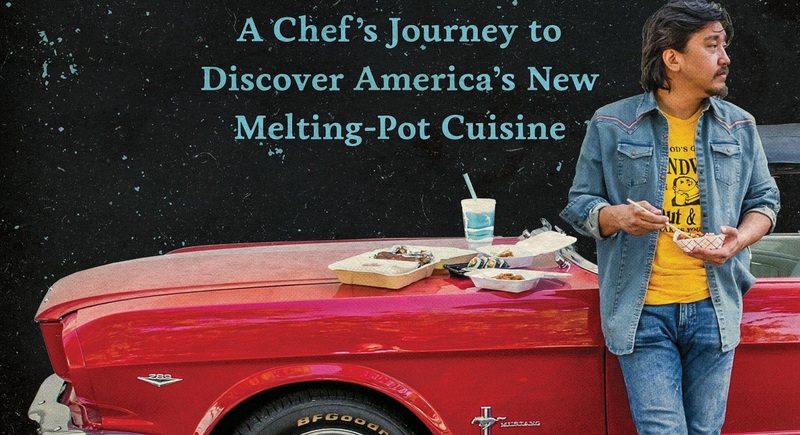 Chef Edward Lee’s second book, Buttermilk Graffiti (Artisan Books) is being released today, and the acclaimed restaurateur and author will be at Carmichael’s Bookstore, 2720 Frankfort Avenue, at 7 p.m. to give a brief talk, followed by a Q&A and a book signing. American food is the story of mash-ups. Immigrants arrive, cultures collide, and out of the push-pull comes exciting new dishes and flavors. But for Chef Lee, who, like Anthony Bourdain or Gabrielle Hamilton, is as much a writer as he is a chef, that first surprising bite is just the beginning. What about the people behind the food? What about the traditions, the innovations, the memories? A natural-born storyteller, Lee decided to hit the road and spent two years uncovering fascinating narratives from every corner of the country. There’s a Cambodian couple in Lowell, Massachusetts and their efforts to re-create the flavors of their lost country; A Uyghur café in New York’s Brighton Beach serves a noodle soup that seems so very familiar and yet so very exotic—one unexpected ingredient opens a window onto an entirely unique culture; a beignet from Café du Monde in New Orleans inspires a narrative that tunnels through time back to the first Creole cooks, then forward to a Korean rice-flour hoedduck and a beignet dusted with matcha. 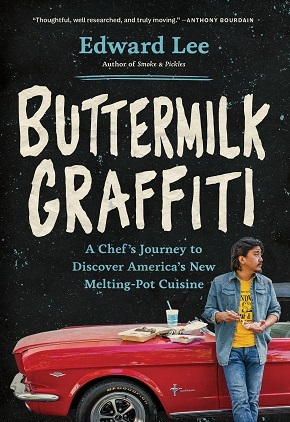 Named one of Publishers Weekly’s Top 10 Food Books for Spring 2018, Buttermilk Graffiti features sixteen adventures and forty recipes created by Lee that bring these new dishes into our own kitchens.